One of the unique aspects of today’s space industry is the ongoing transition from government exclusivity to a market-driven entrepreneurial landscape with the capacity to expand and evolve as demand increases. This shift is particularly noticeable aboard the International Space Station (ISS), where several commercial ventures have introduced proprietary services and technology designed to improve life in low-Earth orbit (LEO). Space startup NanoRacks—whose CubeSat deployer has already launched more than 150 customer satellites—is developing another new addition to the Space Station: the very first commercial airlock module, which the company hopes to install in 2019. Airlocks are the portals that, when opened, allow anything and everything to cross the threshold from the empty vacuum of space into the pressurized and oxygenated safety of a space station. This is a vital function which not only allows astronauts and their equipment in and out of the station, but which can also facilitate deployment of small payloads or external research instruments into LEO. 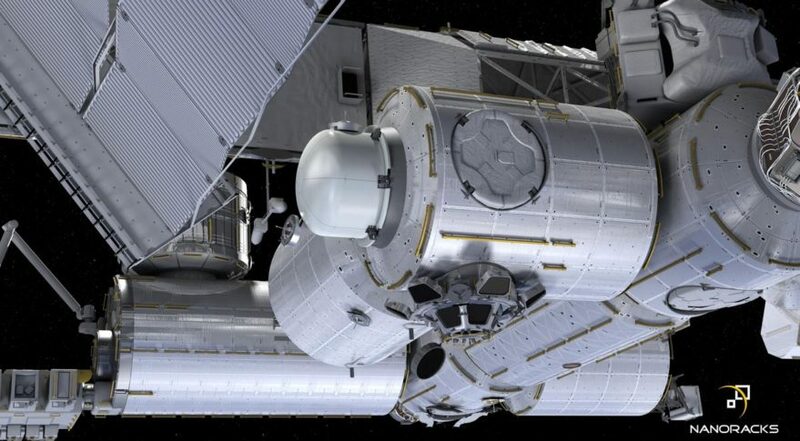 NanoRacks’ airlock module is another major marker of an increased commercial presence in space, and—as demand for private space environments grows—will serve as one of the first to prove its capabilities off-planet. The airlock by NanoRacks will expand available space aboard the ISS for commercial uses. The NanoRacks airlock will be installed on the U.S.-occupied Tranquility module of the ISS, on the port side. There, the airlock’s main function will be to deploy external payloads or to conduct experiments in space. To use the module, an astronaut first places the payload inside the airlock and close the hatch, where the internal structure is then depressurized and detached slightly from the ISS. From there, the Canadian robotic arm extends the airlock aft 45 degrees downward. This enables the payloads waiting inside to either be deployed directly into orbit, such as CubeSats, or simply tested in the vacuum of space. The ISS currently has a couple of major airlock modules, including the Quest and Pirs airlocks, which are engaged mostly in docking vehicles and enabling astronauts to perform spacewalks. In terms of entrepreneurial space and commercial use, the airlock used by NASA and US companies is the Japanese Experimental Module (JEM), nicknamed Kibo, a module built and controlled by the Japanese Aerospace Exploration Agency (JAXA). The Kibo's experimental airlock is capable of 10 deployments each year, but the US is only able to lease half of those—that’s just five airlock openings and payload deployments every year, which significantly hampers the rate of scientific and technological progress. While NanoRacks currently has its own CubeSat Deployer that attaches to Kibo, it is still only accessible through the Japanese airlock module. What’s more, the experimental and deployment airlocks in Kibo are relatively small in size. 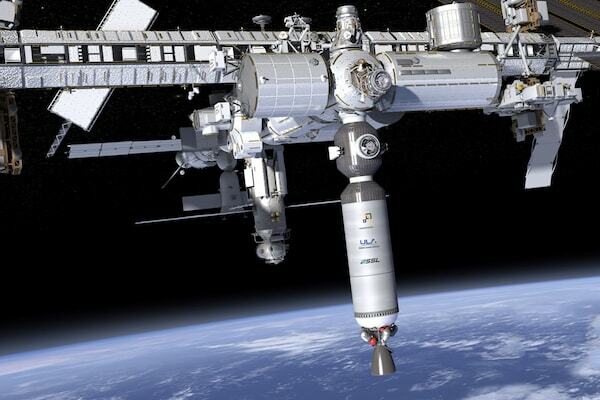 The ISS deployment capabilities will expand up to 60-fold with the installation of the new NanoRacks airlock in 2019. The private module has an internal cubic space that measures up to five times the corresponding space size of JEM, with a diameter of 6.6 feet in diameter and a length of 5.9 feet. A single deployment alone can launch five times the amount of payload than current infrastructure allows. The new airlock is planned to be used between four and six times per year, but as the space industry continues to grow, it is expected to be used up to 12 times annually. As the current market demand for airlock deployment is bursting at the seams, the flexibility that NanoRacks offers is ideal. The structure is even designed to accept components from external sources in order to be repaired, which allows for future development in a flexible and resourceful manner. NanoRacks has marked success on their first simulation test with NASA. In order to design and build this airlock, NanoRack initially signed a Space Act Agreement with NASA in 2016. In February of 2017, the company teamed up with Boeing in order to fabricate the specialized Passive Common Berthing Mechanism (PCBM), which connects the pressurized points of the airlock to the ISS—one of the decisively crucial components of the airlock's ultimate success. NASA is also working with ATA Engineering and Oceaneering in order to finalize the airlock by its launch date in 2019. 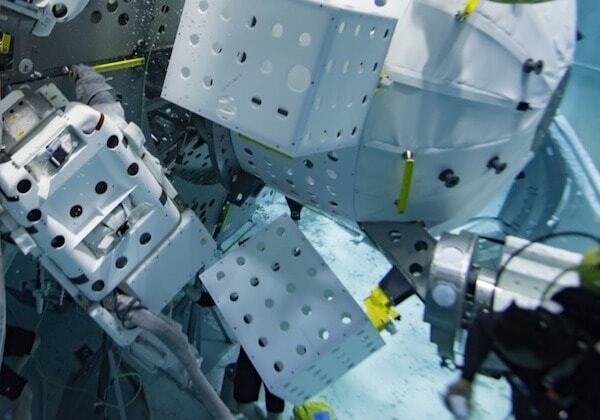 In July of 2017, the project had progressed to a point where NanoRacks was able to submit their Airlock to be tested in the Neutral Buoyancy Lab (NBL), a facility owned by NASA, as part of their preparation process before it is launched and attached to the International Space Station. They notably analyzed and confirmed the placement of handholds on the outside of the airlocks for future spacewalks by having astronauts use them during simulation. The test, which lasted nearly three hours, was declared a success for the company, enough so that a projected second day of testing was then deemed unnecessary. The NBL has been used as a testing center, especially for modules planned to launch to the ISS, for the past two decades, and conducts tests that are designed to plan mission procedures with exacting detail via the use of simulation, train astronauts for their experiences in space, refine spacewalk processes without the risk of using up space resources, and can even be used to test hardware compatibility. It consists of a massive pool used alongside specialized space suits to simulate the microgravity that exists in space for testing and experimentation in an area large enough to hold full-size modules that are exact replicas of modules on the ISS. With a noted success on this tried-and-true testing facility, the NanoRacks Airlock continues to progress and develop in a favorable direction. Making plans for the future: NanoRacks beyond Earth and the ISS. Beyond their private airlock module, NanoRacks is fostering innovation in other unique and essential ways. For example, NanoRacks was recently chosen to be a part of the Ixion Initiative Team, a part of the larger NASA’s ongoing Next Space Technologies for Exploration Partnerships, or NextSTEP-2 Program. Their aim is to conceive and fabricate a rocket, which has upper portions that allow conversion into a habitat state once it has been docked on a station. This sort of innovation leads to an increasingly efficient use of resources, which is an important underlying theme in the space industry. A rocket that converts itself into a habitat is more efficient, far less expensive, and much less risky than a fully-prepared habitat launching directly from the surface of Earth—which is how the first space station, Skylab, was launched in 1973. The Ixion team plans to launch their proof as a low cost concept that will be on the Centaur rocket, which will attach itself to the ISS before converting. Once successful, this innovative plan for converting rockets can revolutionize our control and use of low-orbit commercialized space. Building a foundation aboard the ISS by increasing payload deployment capacity expands the space industry’s potential. 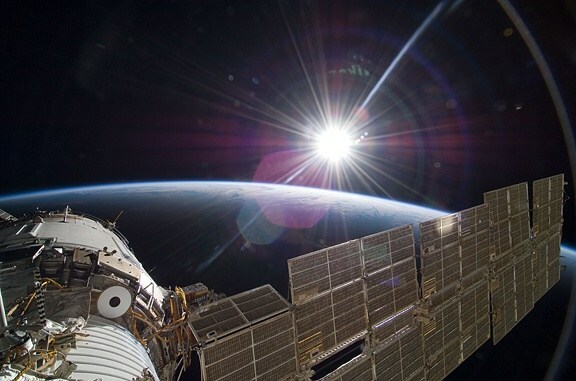 The space industry is making leaps forward into the future, and yet certain constraints—like infrequent access to airlocks aboard the ISS—are still stymying the growth of entrepreneurial market-driven projects. Luckily, NanoRacks’ private airlock module will increase the space station’s capacity to deploy payloads or to test experimental technologies in orbit; a small step, perhaps, but—to borrow a famous phrase from the Golden Age of space travel—a “giant leap” for commercial space prospects. NASA is working together with commercial space companies to build up the necessary infrastructure so that humans can continue to stretch their minds and machinery further towards the stars. From images of our entire planet updated daily, to commercial space stations, to lunar outposts, to Mars settlement; new space ventures are propelling humankind into the Entrepreneurial Space Age. There’s never been a more exciting time to get involved in commercial space. If you’re ready to start investing in private space companies, we invite you to apply for membership in Space Angels.